So, I’m finally getting around to posting wine reviews from my trip to the Okanagan Valley to participate in the 2013 Wine Bloggers Conference. 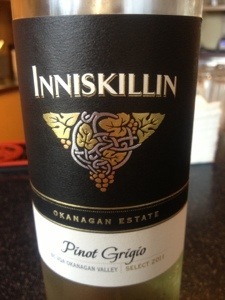 This was my first taste of Canadian wine above the border, selected as a “surprise” by an enthusiastic and friendly sommelier at the White Spot Restaurant inside Kelowna airport. The lovely young lady asked if I wanted to see the wine list, or if she could surprise me; naturally, I opted for the surprise. She “guaranteed” that I’d enjoy the wine — and I did. It’s always great to find someone with a similar palate to guide you. One caveat: it was served too cold — due to the white wines being stored in the refrigerator next to the beer. My personal somm explained, “most people who come in here want their white wine ice cold.” Yes, we have that problem in the USA as well. In any case, initially, the wine wasn’t impressive — not bad, just not impressive. But, my trusty infrared thermometer (yes, I’m a James Bond wannabe) registered 45 degrees Fahrenheit, so how could the wine possibly show any character? Once it warmed up to a more drinkable 52, then 55, the lovely mineral took over the aroma, which also boasted ripe pear and a hint of white peach. 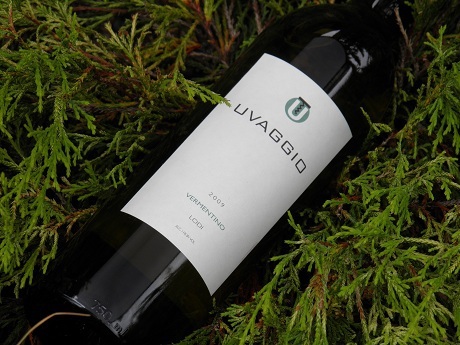 It had excellent acidity — again, only after warming up — and was nice enough drinking on its own, with a well-balanced finish of green apple. I would guess it would also go well with an array of foods. If you see it, give it a try. See more reviews for Inniskillin Pinot Grigio from Wines in Niagara, Tony Aspler, and John Schreiner on Wine.